Wedding gifts. Anniversary gifts. Birthday gifts. Holiday gifts. Bridal shower gifts. New baby gifts. Graduation gifts. 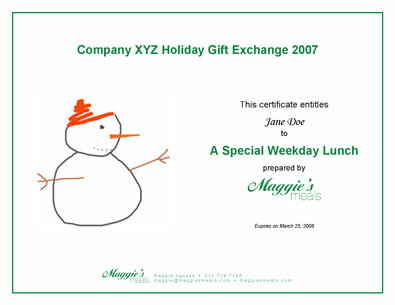 Employee appreciation gifts. Corporate gifts. Valentine's gifts. Mother's Day gifts. 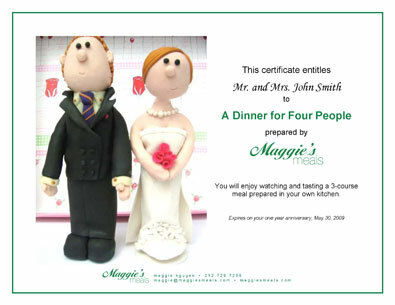 Give a memorable gift of personal chef services, cooking classes or daily meals delivered to your friends and family. 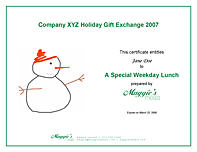 Maggie's Meals gift certificates are available for all occasions at all price ranges.